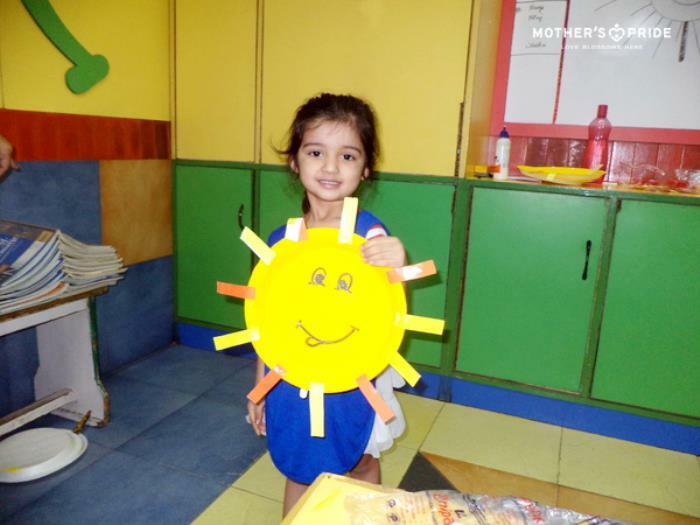 Every child is a storehouse of creativity. 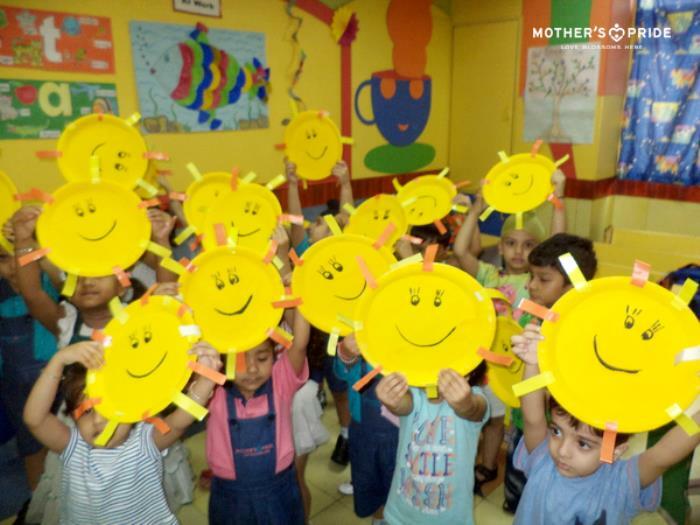 Keeping with the theme ‘Summer and Rainy Seasons’ and to help develop the fine motor skills, children created their own Sun Mask. 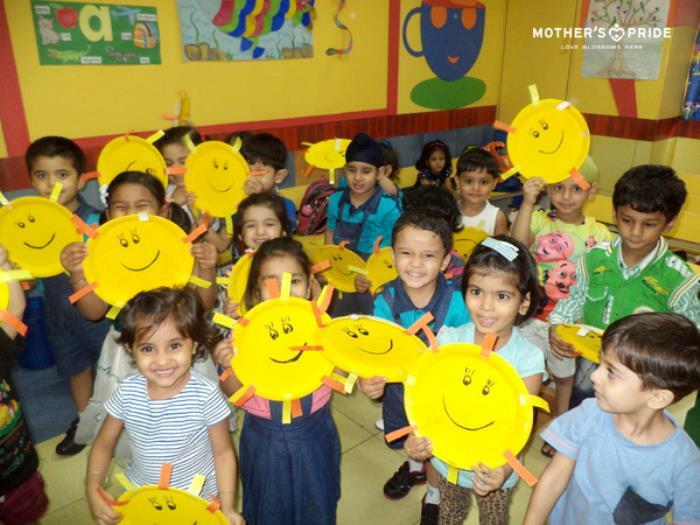 They also enjoyed reciting the rhythm “Summer is here”. 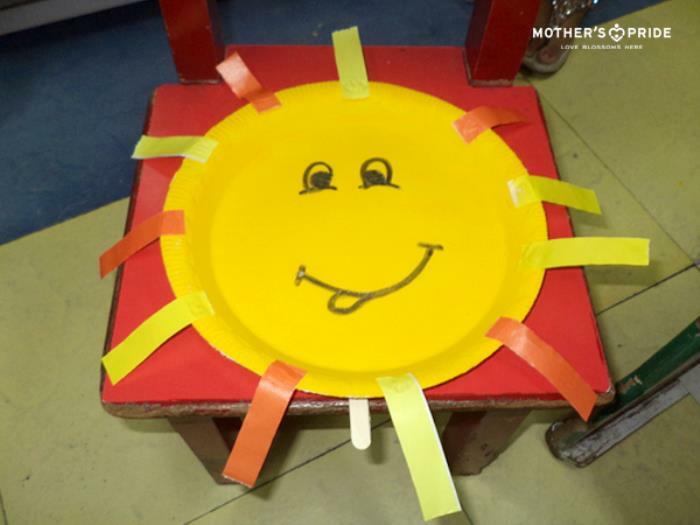 New words like Sun, seasons, summer glue thermocol plate, glaze paper, pasting eyes, nose, mouth, etc. 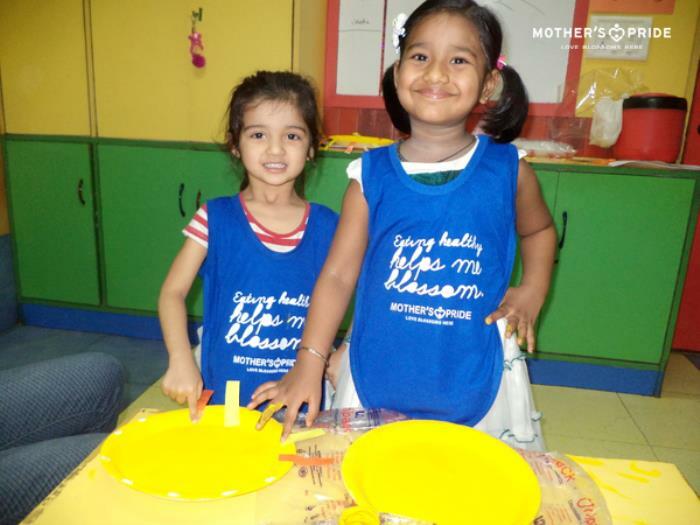 were introduced thereby enhancing their vocabulary. 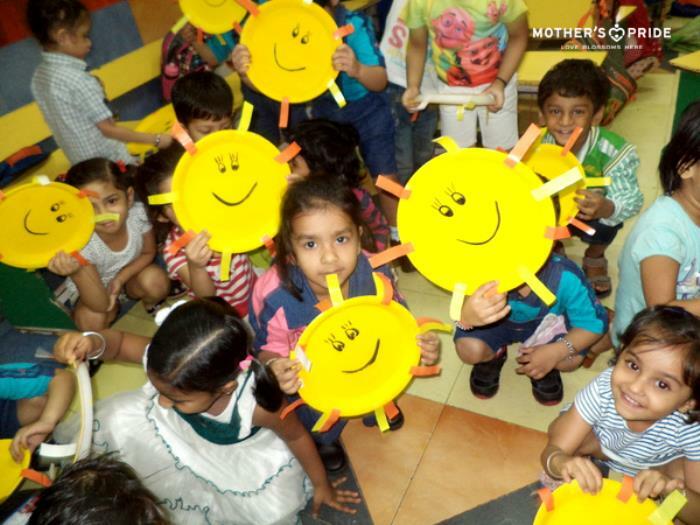 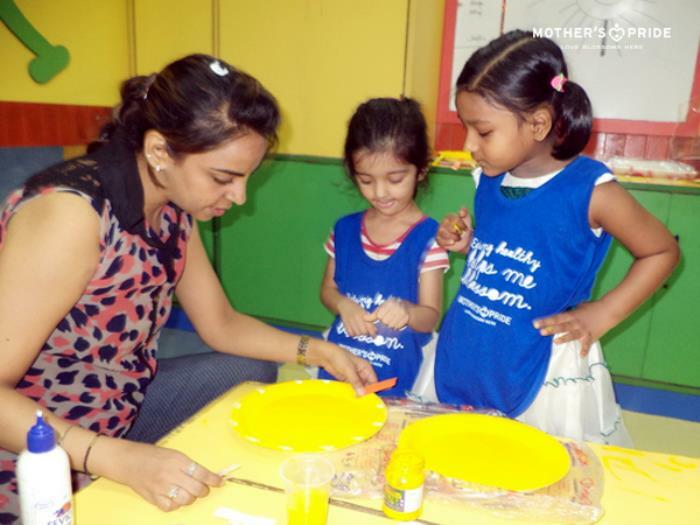 It also helped in their conceptual and language development as children recalled things associated with summer season and also followed the instructions given by the teacher on how to make the mask and recite the rhyme.